Mike appeared on Philadelphia ABC news channel 6 with reporter Amy Buckman to talk about how vegetable gardening can save you money. In most parts of the world, aphids are the number cause of plant damage among harmful insects. They come in a wide range and variety of sizes and colors, depending upon where you live, and eat just about everything. Aphids will work over a plant, reproducing at a great rate and when the plant they are feeding on becomes over populated they will develop wings and move on to another plant. As you can see if you do not tackle the problem immediately you can get over run with aphids fairly quickly. Here are four methods you can start implementing right away with any aphid issues you may have. These are the same yellow sticky traps that you would use inside to catch house flies. You can pick them up at any home center or hardware store for a couple of bucks and sometimes even cheaper than that. They do a great job of attracting aphids and of course the aphids are incapable of removing themselves from the sticky tape. The downfall of this method is you might catch some beneficial insects as well. But, if you are over run with aphids you will have to make that trade to get their population under control. Sprays that are safe to you, your family and the surrounding environment are another good way to get the aphid population under control. Such sprays include, neem or insecticidal soap. They can be quite costly depending on where you buy them and aren’t readily available at all home centers, so you may have to buy them online. For me personally, these items are hit or miss. Some years they have worked great and other years, not so well. I have not researched why this occurs, but it would not deter me from using it since I have already purchased the item. This is one of the best ways to to get rid of aphids. There are insects that you can attract to your garden that do absolutely no harm to the plants but feed on aphids. The most common is the ladybug. They can eat over 2000 aphids in their lifetime. You can buy ladybugs from a lot of garden centers or plant various flowers or herbs to attract them. If your aphid issue is one of urgency you may have to spend the $20 to get some ladybugs in there right away. Green lacewings are another beneficial insect that will feed on aphids. Finally, you can make your own sprays out of items in your kitchen. Two popular ones are a garlic spray and a hot pepper spray. A Google search on either will give you a number of recipes to choose from. Just remember to wash your veggies thoroughly before consuming. We have all been there with aphid issues. Just know you are not alone. Using the four methods above in conjunction with each other will surely get rid of the pesky critters once and for all. I like to keep my home vegetable gardening as simple as possible. Sure on occasion I will venture out into something new and little more advanced, but my entire gardening process surrounds some basic tips that I am going to share with you in a moment. My gardening philosophy stems from the teachings of my dad. My dad is a very simple person and that translated the same into his garden. So when I watched him all of those years I saw that he kept things simple and easy to handle. My tips that I am going to share with you are really his tips, and for many of you out there they may already be your tips. Grow what you like to eat. many times new vegetable gardeners will go crazy when buying seeds or plants. Most of the time buying things they or their family do not even consume. My brother is notorious for this. Instead, think about what you and your family actually consumes, and grow those fruits, vegetables and herbs. You will save on a lot of space and time on items that would simply just rot. Keep the size of your garden reasonable. For many the size of your garden will be dictated by the amount of land you actually have. However there are a number of people who lots of land and want to grow huge gardens, bordering on the size of a small farm. What they fail to take into account is that the larger the garden the more work it will equate to. So try to keep your garden the size of what you can handle. Too large and you may become overwhelmed and lose interest. Keep your garden within sight. What I mean here is your garden should be within view from the inside of your house. I find, as do others I have talked to (whew, glad I am not alone here), that you are more likely to keep up with your vegetable garden if you can keep it in plain sight. It allows you to keep an eye on what is growing well, what is not, the weeds that need to be taken care of and so on. You will find that once you have home vegetable gardening down, your maintenance will be very minimal (or at least should be). Sure these three tips won’t make you a commercial farmer capable of feeding the planet, but they will make your home vegetable gardening experiences more fun and enjoyable, and more importantly keep you motivated to grow every season. Mike Appears on NBC Philadelphia to talk Saving Money with a Vegetable Garden and the Seeds of the Month Club. Up until about seven or eight years ago, I was simply a traditional home vegetable gardener. I, like a lot of other people, grew the basics such as tomatoes, cucumbers, peppers and various greens. As I started to expand my vegetable gardening horizon I learned about so many new plants that offered up great tasting and healthy options for my family’s dinner table. One such vegetable is Swiss Chard. There are a number of varieties of Swiss Chard, however my favorite is the Rainbow Mixture. It is a great mix of a variety of colors which not only adds a great leafy vegetable to your back yard, but it is a very attractive plant that adds beauty to your garden. The seeds of all varieties of Swiss Chard are the same size, shape and look. The best way to describe what the seeds look like is to picture the cereal Grape Nuts. Because it is a fairly sizable seed it can be planted about a half inch deep. To get a jump start on your Swiss Chard begin indoors two weeks prior to the last frost of the season in your area. Once fear of frost subsides in your area then you can move your Swiss chard outdoors. Swiss chard is one of those vegetables that is versatile when it comes to temperature. Although their optimal temperature is eighty-five degrees Fahrenheit they will do ok anywhere from fifty to eighty-five. Swiss chard grows best in soil where the pH level is in the 6.0 to 7.0 range, with a moderate to even watering in an area that receives full sun, although Swiss chard will tolerate light shade. When Swiss chard reaches six inches tall it is ready to be harvested. You can either harvest the entire plant or cut off a few stalks at a time and the plant will continue to grow throughout the season. If you are active in a crop rotation plan, avoid following beets or spinach. If you do a lot of companion planting, Swiss chard grows well next to members of the cabbage family, legumes and lettuce. However you will want to avoid beets and spinach when companion planting as well. If you have never thought of trying (or even heard of) Swiss Chard, give it a go in your next home vegetable gardening season. You may find out as I have, it is a great vegetable to grow. Growing a well-rounded garden is like writing a compelling novel or designing an aesthetically pleasing home or painting a lifelike landscape—except you get to eat the product. And when it’s all over you have to throw the leftovers to the compost heap and start fresh next season. So that leaves the gardener with a sort of rhythm: imagine, create, cultivate and scrap. Come to think of it, that’s more or less what any good artist, writer or designer is always doing. So if gardening is like art why not call it art? Gardening is art. It feels good to read that. Gardening as art and the rhythms of it then, all have an intimate connection to a fruitful outcome—pun intended (sadly). Now that sprouts are digging into the air it’s a good time to imagine what might be. If you imagine well, you might end up with the envy of your neighborhood. Imagination is hard though. Some people even claim they haven’t got it. But everyone does. Everyone has imagination if they take the time to cultivate it. The question becomes one of how to cultivate the mind to create. You’ve already got your plants in the ground. You’re already in the rhythm of watering and keeping an eye out for weeds. What’s to imagine anyway? Well, for starters, can you imagine a budding tomato plant as tall as your head with all red, ripe toms on it? Can you envision a twenty-foot, curling vine of healthy, pest-free, waxy coated, bright cucumbers? Believe in the full-sized orange of a ripe, seed-filled pumpkin. Dream. For every one gardener who chooses to take the adventure of a growing a nontraditional plant, there are ten who have given up on trying to get a plant to grow out of its natural environment. Can you imagine making it work? More importantly, can you dream up a solution for the thriving of that plant? If you live in the acid free Midwest where blueberries refuse to grow, do you have the gusto to take it to the soil? There’s a secret to this kind of imaginative exercise. You’ve been taking it in since you started reading. It’s the process of asking questions. The odder you can make your question, the more likely it is to evoke a thriving imagination. But small, easy questions prime the mind and start you on the path to rich complex inquiries. Maybe, if you ask those questions this spring you’ll begin to have ideas to revolutionize your garden next year; maybe you’ll discover ways to make your garden thrive more this year. When you next go into your garden, look at the layout and picture how it might change this year. Write down questions about how your layout is helping and hindering your produce. Discern what plants seem to thrive and ask why. Discern what plants seem to take a nosedive and beg, “Why?” Then follow your questions with research, notes and late nights. You’ll be glad you asked the questions when you begin to see the outcome. Imagination is the first rhythm of a good gardener and if you start now, you’ll have it in the bag by harvest. Jody Sperling is a contributing write for Mike the Gardener Enterprises, the exclusive home for the Seeds of the Month Club. Planting season is finally here in USA Zone 5. Time to get ambitious and not forget the basics. Be frugal. Grow from seed. Trade seeds with friends. Don’t overpay for plants from anywhere. If you can’t resist the urge to start from plants, and didn’t start your own, spend the extra few dollars at a locally owned farm stand or garden store. Chances are, the proprietor is behind the counter and really appreciates your business. Amend your soil. In my Clarence, NY area, a dairy farmer dries and bags cow manure, creating a high quality fertilizer for $5 per bag. You can even go cheaper. Look for a sawmill in your town with excess sawdust of other sources of inexpensive or free organic matter. This is the third year for my 18-by-25 foot vegetable garden in its current location. Years one and two I worked in three yards of double-screened mulch ($18 from Amherst, NY, loaded in my pickup). I also worked in half a pick-up load of horse manure (free but with a bit more weed-seed). This year, I worked in the aforementioned cow manure. My garden soil is luscious. In fact, I just repotted a house plant in some of it. I will use more mulch, sawdust and newspaper, to lay paths in another few weeks. Those paths will decompose and be tilled in next year. Gardening is a never-ending experiment. Keep trying new things. Here’s one more: Spend $3 on four tomato plants from that farm stand or grocery. Bring them home and plant them. Direct seed four tomato plants, following planting directions. You may get an earlier yield for your $3, but total yield will be even by season end and watching the miracle is like raising your own child there is nothing better. Another nice thing is that psychologically, no one wants to waste anything. Admit it. We’ve all done it. Pay $12 for a flat of vegetable plants. Get home. You can’t resist. You plant them too close together rather than discarding or giving away the extras. Then you end up with a lower yield and a tangled mess of tomato plants. Grow from seed and you won’t have such worries because the psychological construct is different – you will save seed rather than over plant. Lastly, as you do anything, keep a diary. Record mundane details like when you -planted and what the weather was like. Make notes of what you added to your soil or how the pH tested when you took it to the Cooperative Extension stand at the town farm market. It will give you an important record you can use for future reference. Joe Genco is a contributing write for Mike the Gardener Enterprises, home for the Seeds of the Month Club. You can e-mail him at joegenco@gmail.com. Rutabaga makes a great addition to a variety of dishes. Even more amazing is how easy Rutabaga is to add to your home vegetable garden and even easier yet, to grow them from seed. Here I have outlined some tips to increase your chances of “Rutabaga from seed” success. Long before you put that first seed into the soil you need to get the area prepped. Rutabaga needs a good supply of potassium and phosphorous. If you are mixing in a good amount of compost and/or leaf mold throughout the year your soil should be ok. Your soil’s pH level should be in the 6.5 to 7.0 range for optimal results. If you follow a steady flow of composting and leaf mold as stated above, your soil should be fine. Invest in a $3 test kit just to be sure and make adjustments as needed per the instructions on the test kit. Rutabaga seeds germinate best when the soil temperature is above eighty degrees Fahrenheit, however, once the seed has germinated, the rutabaga itself grows best in cooler temperatures. It’s best to heat the soil up prior to putting your seeds into the ground using a clear plastic tarp. Once you get the soil warm enough, plant your seeds (I’ll talk more on this in a moment), and remove the tarp. Your soil should be good to go. 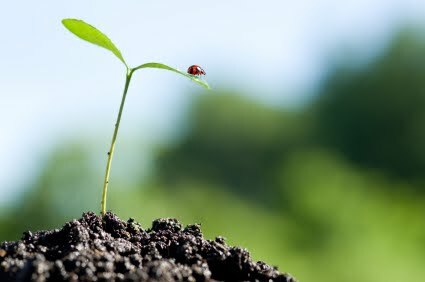 Once your soil is ready you can go ahead and plant your seeds in the ground. Rutabaga does not transplant well so it is not recommended that you start them indoors. Plant the seed no more than one half inch deep and space out your rutabagas at least eight inches. They could germinate as soon as five days under optimal conditions, but seven to ten is more likely. Now that your seeds are in the ground you need to care for them to make sure you have a successful harvest. Rutabagas require a moderate watering. If your soil is moist then no need to water, just make sure the soil does not dry out. Your rutabagas will tolerate shade, but they grow best with full sun. When you start seeing the top of the rutabaga push through your top soil it is ready to be harvested. Simply use a trowel to dig the rutabaga out of its spot. 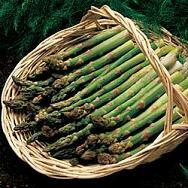 Cut about two inches from the top of the root and store in a cool dry location or your fridge. Rutabaga will store well for months. If you practice companion planting keep in mind that rutabagas do not do well when planted next to potatoes, but partner up best with the onion family and peas. Rutabagas do well in a rotation that follow onions and scallions.